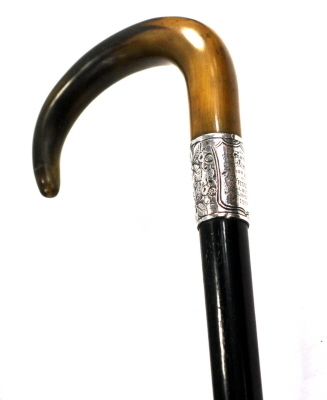 Beautiful blonde bovine crook handle on ebony shaft. 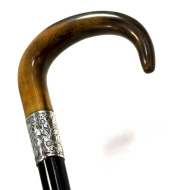 Silver collar holding the Assay punch for Birmingham. 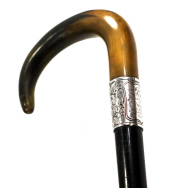 Lovely condition throughout free from breaks, cracks or damage.Base of cane finished with base metal ferrule.